SWAT arrives on site and must deploy “flash bangers” into an area to stun criminals. These flash bangers often ignite combustibles. 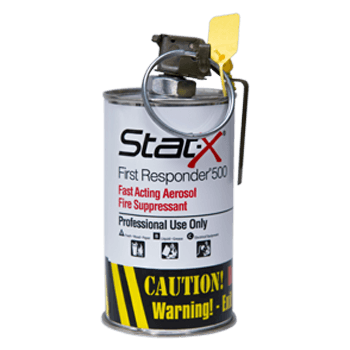 Toss a Stat-X First Responder into the flame area for immediate fire suppression for entry or to suppress fire while awaiting the arrival of the fire.